The crisness of your subjects continues to amaze me. Oh Pat, I love your quail and would like to paint a watercolor of it. If I have your permission to do so would you please email me a copy. I will post it on my blog with reference to you when finished. Excellent color, definition and composition. 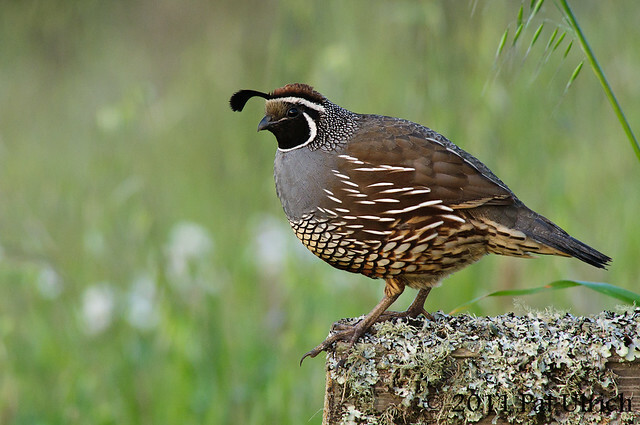 There are lots of quail in my area - I love them! Great shot!